September 9, 2000 is the 24th anniversary of the death of Mao Zedong, a most bitter day for us communists. Yet while we think of the fateful struggle that happened in September and early October, 1976 in China that restored capitalism there, we also recall dialectics and the truth that the cause of the international proletariat is ever vibrant. In this September of 2000 we call the world’s attention to the birth of a MIM-affiliated vanguard party in Russia. It has been 24 years; yet, still new parties and newspapers arise to defend and carry forward the true revolutionary legacy of Mao Zedong. The Maoist Internationalist Party of Amerika hails the formation of the Maoist internationalist party of Russia, called the Russian Maoist Party. 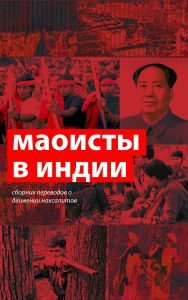 The action of the Russian comrades is a resounding and historical step toward reconstituting the international communist movement on a genuine and scientific basis, a Marxist-Leninist-Maoist basis. Already the RMP has started building public opinion organs, through numerous web pages and by spreading articles through traditional means used by Lenin and Stalin themselves when they built their revolutionary movement. 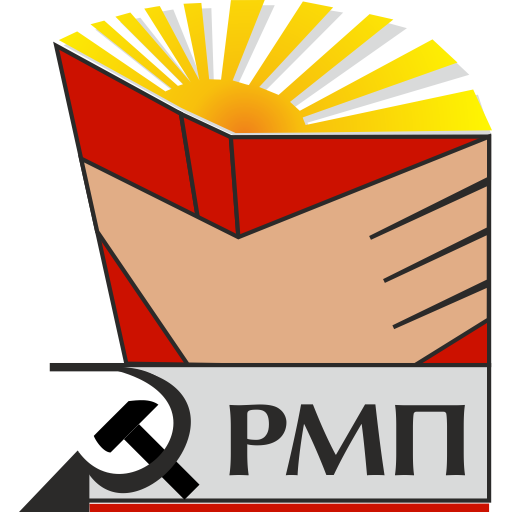 The MIP-Amerika calls on all to assist the Russian Maoist comrades in getting onto the road of having a regular publication as Lenin prescribed. The RMP has proved in previous practice that is capable of grasping and applying the science of Marxism-Leninism-Maoism. It has propagated work opposing the restoration of capitalism in the Soviet Union and China; it has upheld the Cultural Revolution in China 1966 – 1976; it has started class analyses of Russian society and it has aided the struggle against the labor aristocracy of the Western imperialist countries that is completely preventing the rebirth of communism in those countries. For these reasons alone, the achievements of the RMP are great. We say RMP’s work on these questions is great not because these historical events are a matter of simple fond wishes. Quite the contrary, the greatest lessons to the communist movement are in its most bitter defeats. These questions are a matter of looking at history, concretely occurring events and being able to say accurately what happened and how. This is a matter of science and cannot be left to leaders with the slightest sentimentality or feel-good political orientation. The truth of this has already demonstrated itself in MIM’s short existence. While the idea that the Soviet Union was capitalist and experiencing a capitalist downturn was widely scoffed at in the 1980s by those subjectively considering themselves communist, by now it is unavoidable to declare as Mao did that there has been a bourgeoisie right in the communist party in state power. It was not imperialists or landlords or former factory owners who killed socialism in the Soviet Union. It was the bourgeoisie in the party. The ability to examine this historical reality, acknowledge it and connect it with theory is no less important than being able to look at a fossil and connect it to the theory of evolution. In the case of the theory of evolution, there will be those Christians unable to break with preconceptions to look at the fossils or facts of geology dating the earth in the millions of years. Likewise, there will be those attempting the science of Marxism who will not be able to face the truth of a bourgeoisie in the party in the Soviet Union and the need for continued class struggle under socialism to consolidate the dictatorship of the proletariat. Some of us unable to face the truth will nonetheless go so far as to call for armed struggle and bloodshed on behalf of their half-baked ideas incapable of leading society forward to communism. There may be proletarians with such subjective ideas, and we must ally with them through whatever tactics necessary to yoke them to the proletarian movement, but such proletarians with foggy ideas must not be allowed to lead the communist movement. Any attempt by those with such foggy ideas to lead the movement must be pitilessly rebuffed, if necessary through methods used against enemies. The road forward in the ex-Soviet Union is perilous. On the whole, those social-democrats and national chauvinists calling themselves communists still outnumber genuine communists. The weight of history and sentimentality also conspire to produce favorable memories of traitors to the communist movement Khruschev, Brezhnev and Gorbachev, though the latter is already much degraded in the eyes of many considering themselves subjectively communist. The increasing repression and exploitation of the Yeltsin years and the capitalist cyclical downswing of the economy in Russia have left many wishing for the bad old days of social-imperialism under Brezhnev. Within the ranks of those calling themselves defenders of Stalin, we find many who believe the true meaning of Stalin is the increased geopolitical power of Russia. Some scatterbrained so-called communist leaders even tend to anti-Semitism and other strange formulas playing with the fire of the national question, like children who have recently discovered matches. The wreckage of the communist movement in the ex-Soviet Union is no less than that faced by us in the Western imperialist countries ever since World War I when a majority of those calling themselves socialists sided with their national bourgeoisie in a war for profits and colonies at the expense of proletarian bloodshed. To this day, the majority calling themselves socialist and communist or anti-imperialist in the Western imperialist countries have no objective plan for overthrowing imperialism, because there is no way to be done with imperialism without a thorough calculation regarding superprofits. Claiming to overthrow imperialism without knowing how much superprofit is being sucked in by the imperialists and the labor aristocracy is like saying we will nationalize the factories without knowing where or how many there are. We must be pitiless toward the worthless expressions of imperialist militarism and chauvinism in the movement of those calling themselves communist – no matter how popular such imperialist militarism or chauvinism. As Lenin proved in taking an unpopular stance regarding World War I and as Mao proved in defeating superior reactionary, Japanese and Amerikan enemies through protracted warfare, it is possible to apply Marxist-Leninist-Maoist science steadily and overcome temporary disadvantages in popularity and the disorientation of those calling themselves communist. Such a rebirth of the communist movement is possible only by paying the closest attention to science, the study of cause and effect, with the tools of dialectical materialism. It is neither enough to have determination nor detailed knowledge of conditions and the requirements of the proletarian movement. The two must be combined. In the RMP, MIP-Amerika recognizes its fraternal comrades, comrades fully capable and proven in struggle. We look forward to its continued success.